This guide will show you how to add a rock to your landscape design. 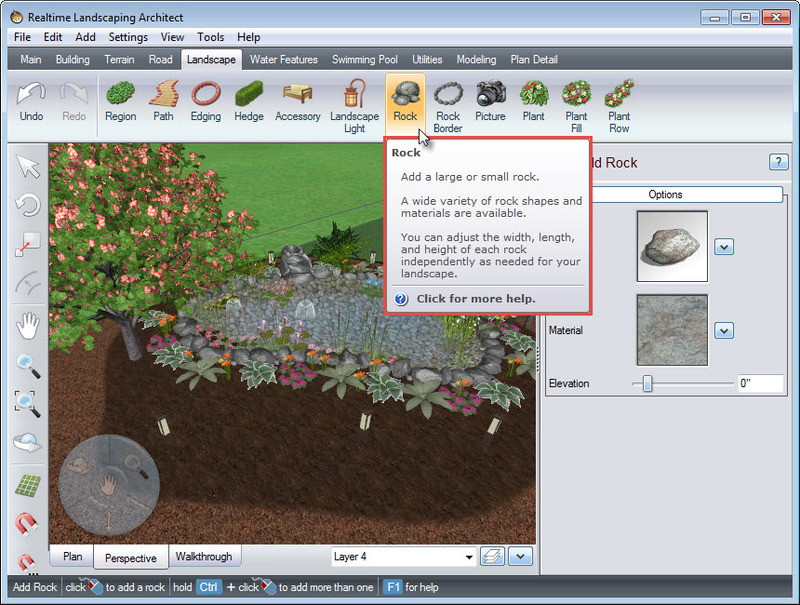 To get started, click the Landscape tab, then click the Rock button. Left click to place the rock where you desire. 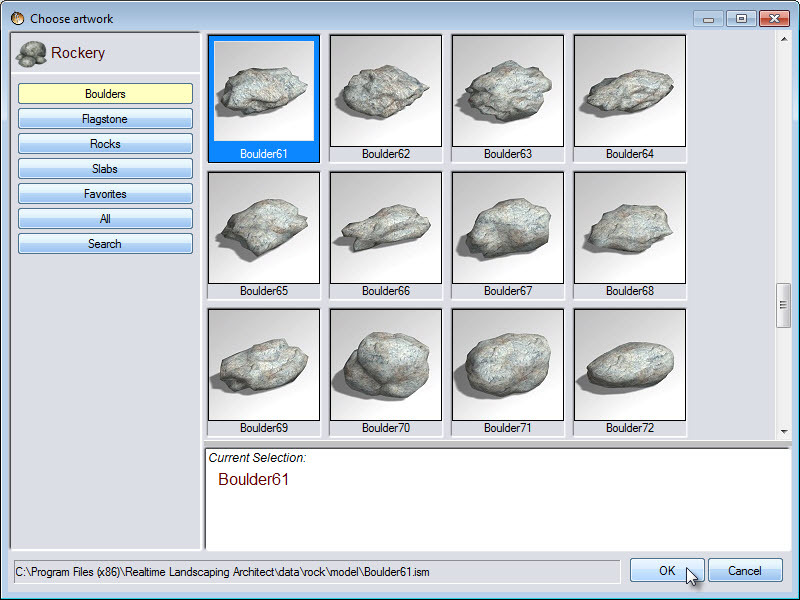 To change the style of your rock, click the model image seen above, and it will take you to a selection of different rock styles. 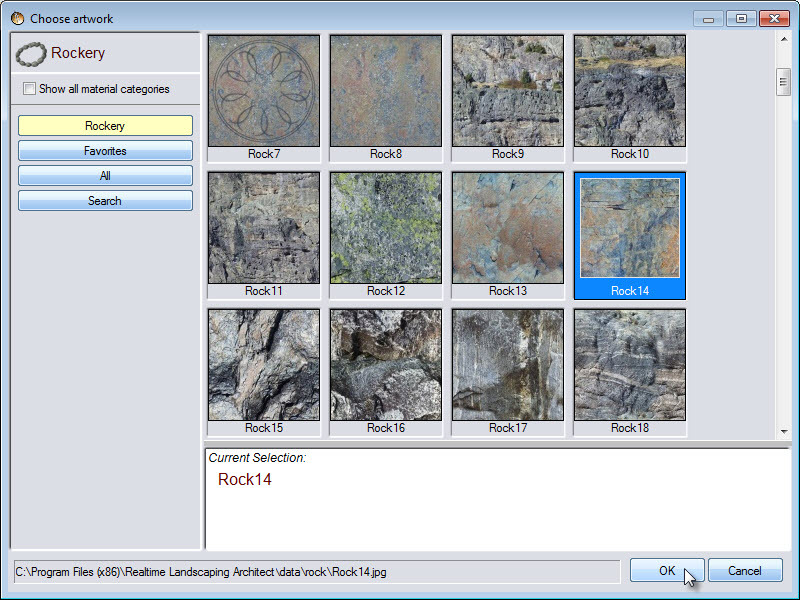 Select your desired style, then click OK.
To change the material of your rock, click the material image seen below, and it will take you to a selection of different rock materials. 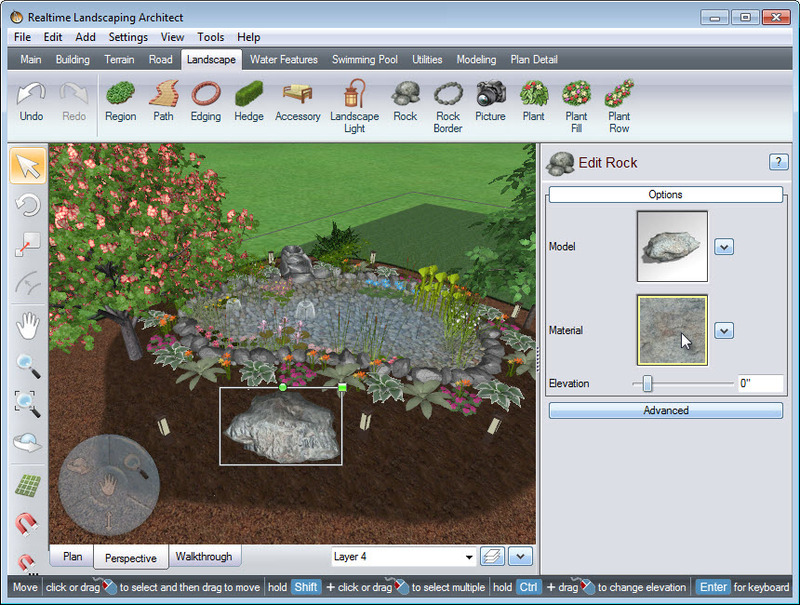 Select your desired rock material, then click OK.
You will notice that the selected rock will have a white outline, with a green square at the upper right corner, as well as a green circle to the left of it. Left click and drag above the green circle, to rotate the rock so it faces the desired direction. 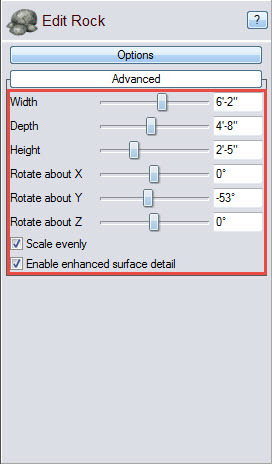 To scale the rock, Left click and drag above the green square. 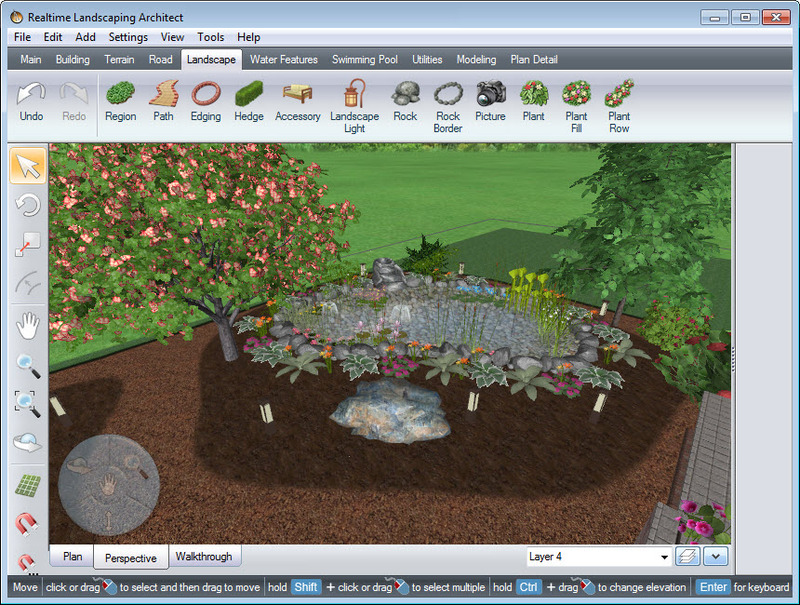 You have successfully placed a rock in your landscape design.